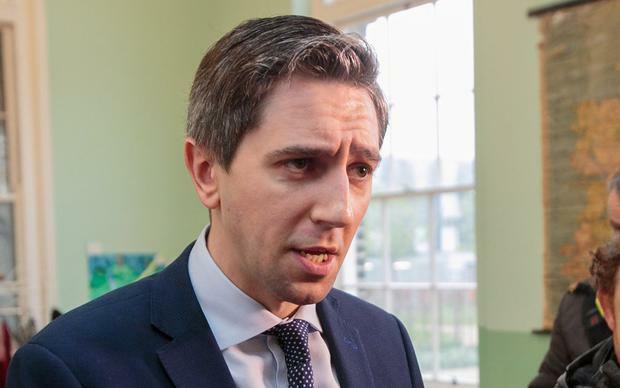 Any plans by Health Minister Simon Harris to ban children who are not vaccinated against measles from schools and crèches are expected be blocked by people’s right to bodily integrity. Mr Harris said yesterday he intended to explore how other European countries are putting prohibitions on unvaccinated children in a bid to prevent the spread of measles, which can be a killer disease. However, the Department of Health confirmed yesterday that Article 40.3 of the Constitution is generally interpreted as conveying a right to bodily integrity. Subject to legal advice, this includes prohibiting any proposed scheme or programme of mandatory vaccination. Mr Harris told the Oireachtas Health Committee that take up of the MMR vaccine currently stands at 92pc, but the national target is 95pc. Sending a child who is not vaccinated against measles to school is an “irresponsible and dangerous thing to do”, he added. Dublin is currently experiencing a measles outbreak, with 18 cases confirmed so far. Some European countries have taken the step of introducing compulsory vaccination. The MMR vaccine in France and Italy is now mandatory. The spokeswoman said the department has recently initiated a process to develop a new policy framework in relation to communicable and infectious diseases. “As part of this process, the department will examine the current legislative basis for the surveillance and control of these diseases and identify any changes which might be required to support the proposed model of service,” she said. In addition, the process will provide for a particular focus on vaccine-preventable diseases and why some parents are reluctant to vaccinate their children. The HSE said people planning to travel abroad should make sure they are protected from measles. Those who have not been vaccinated with the MMR vaccine or who have not had measles in the past are at risk of measles. “If unsure whether they had the vaccine they should speak to their GP about getting the MMR vaccine before travelling,” it said. Trips to France, Poland, the Netherlands and Lithuania have been implicated in the current Dublin outbreak. There are on-going outbreaks of measles in other countries, including Italy, Greece, Romania and Ukraine. There is a risk of developing measles for up to 21 days after contact with a case of measles. If an adult or child may have measles, the advice is to stay at home and phone your GP for advice. People who are sick should not attend settings such as crèches, schools, work or religious gatherings until they have recovered from the illness. The HSE said most people who get measles on holiday do not know they were exposed until they develop the illness. Unwitting exposures to measles have occurred at airports, on planes and at concerts.